Thank you to everyone that made our Washington DC Events successful. Georgetown Lululemon Loft space for our education evening and the Ellipse in front of the White House. Pictured here is FFB National Trustee and retired Board of Director, Moira Shea, and her Leader Dog, Finnegan, outside of the White House in Washington D.C.! 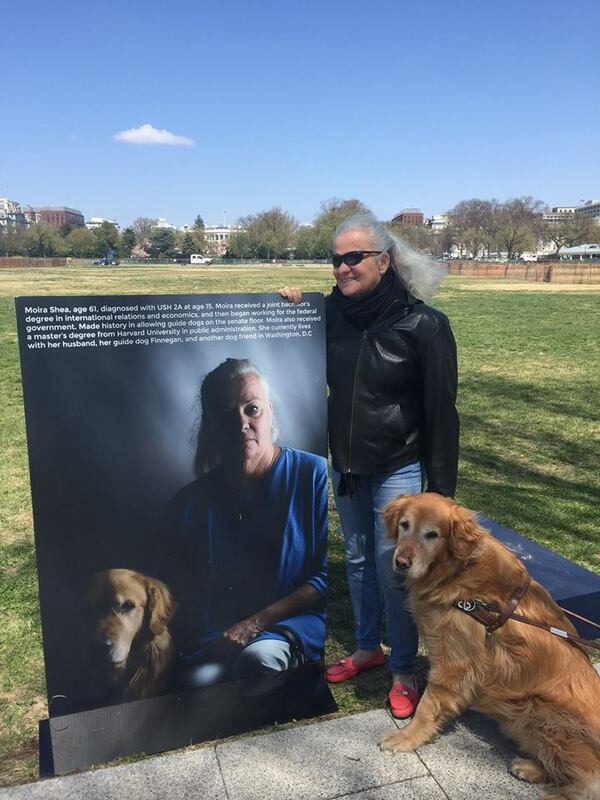 Moira 's portrait is part of our USH Society's "Shine a Light on Usher Syndrome" Awareness Campaign.